Winter is definitely a great time to recharge your batteries and to take a little me time. 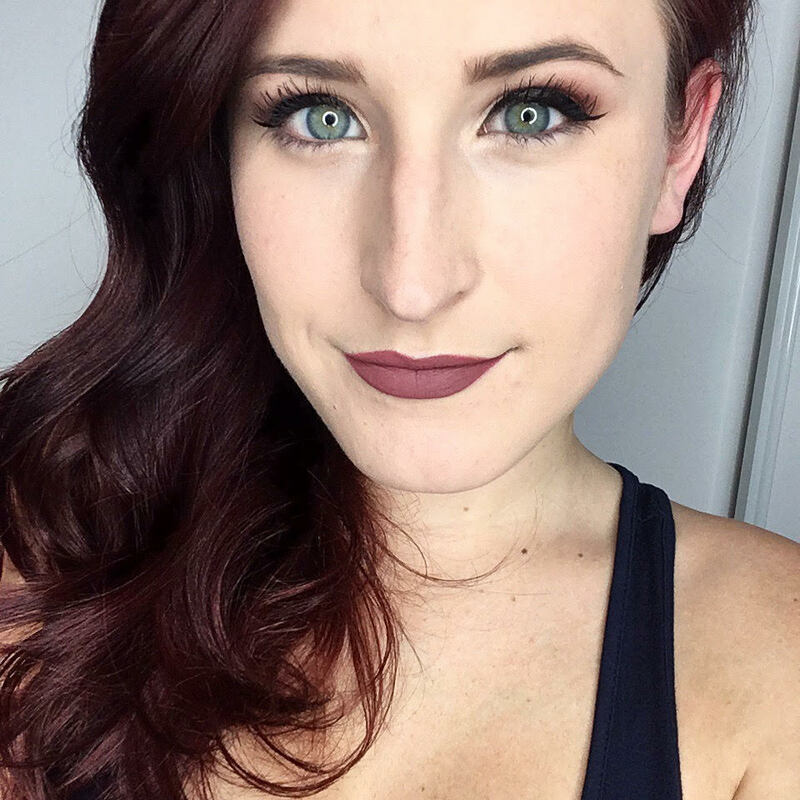 As I mentioned in yesterday’s post, I’ve definitely been experiencing a bit of the winter blues lately, and I knew that taking a step back to focus on me would be a great way to get myself ready to go for 2018. 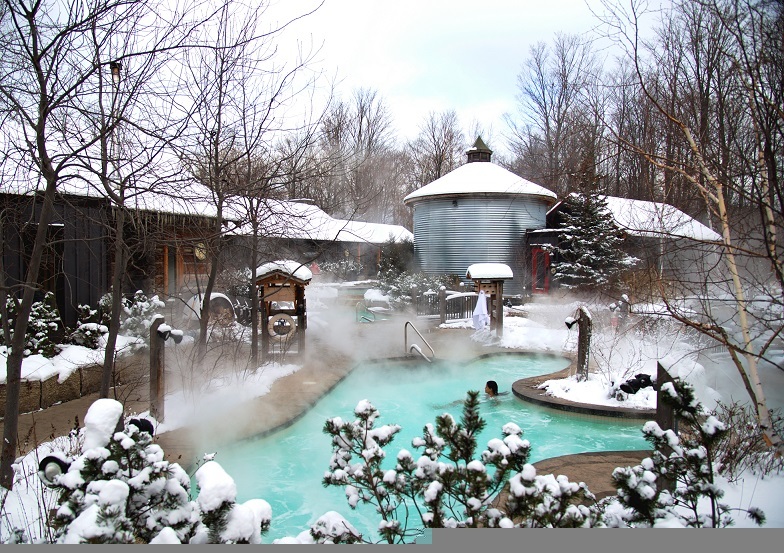 My boyfriend, Mickey, and I took a trip up to Collingwood, Ontario earlier this month to celebrate his birthday, and I knew that we had to pay a visit to the Scandinave Spa Blue Mountain while we were there. I’ve heard so many good things about this type of experience and this particular spa from a few friends and couldn’t wait to give it a try. 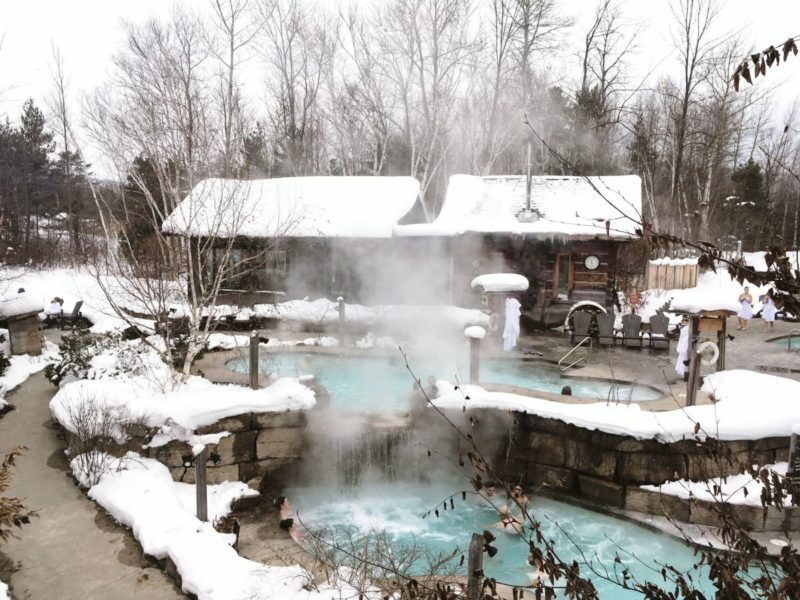 The Scandinave Spa Blue Mountain is located just a few minutes away from the Blue Mountain Resort, and is only 2 hours north of Toronto, making it the perfect place to visit when you want to get away for a night. It’s set in 25 acres of natural forest, and the location is absolutely beautiful. From the moment you enter the driveway you’re whisked away to a serene, calm setting where you know you’ll be able to relax. Upon arrival, you’re checked in, given an overview of how the baths work, and handed 2 towels & a locker key to store your belongings. Robes are also available for rental, which I highly suggest. Phones are not allowed in the baths area and silence is requested – there are staff members on hand keeping an eye on everything to ensure that chatting is kept to a low murmur so you can enjoy the silence and fully relax. The bath circuit has been set up to allow your body to relax and rejuvenate; you first begin the cycle in one of the hot areas for 10-15 minutes (hot bath, sauna or steam room) to detoxify and open your pores, followed by a cold water plunge (brrr!) for 2 seconds to a maximum of 2 minutes to close the pores before finishing the cycle with a 10-15 minute relaxation period in one of the solariums or by the fire to bring your body back to a normal resting state. You can repeat this cycle several times, with most people staying about 2-3 hours in the baths. I ended up going through the cycle 5 times during our visit and couldn’t believe how great I felt afterwards. My mind was clear, my body felt great and I left feeling completely refreshed. Massages are also available to be booked and are a great way to start your visit off – I think I’ll be giving one a try next time! I just want to touch on the hot portion of the bath circuit, because this was easily my favourite. 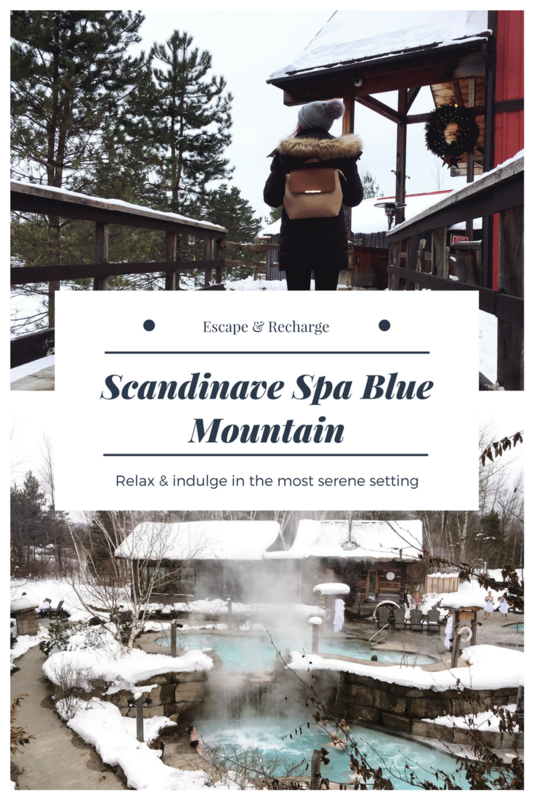 They have three heated pools to hang out in (which were delightful), a recently-updated Finnish sauna, a brand new infrared sauna and my favourite, the Norwegian steam bath. The steam bath, which uses eucalyptus, was so lovely. When you walk in the room, it’s full of steam & a little hard to see, but your eyes quickly adjust and you can grab a seat (note: the steam is definitely heavier on the top row of seating, so it’s best to start on the middle or first row when you first go in) and start taking it all in. It really hits you when you get in, and you’re soon sweating and breathing in the steam – it feels like an amazing detox session and I ended up going in twice because I loved it so much. I want one in my house! The Scandinave Spa Blue Mountain is especially breathtaking in the winter when it’s covered in snow. The setting is so beautiful and I could have stayed all day. I’ll definitely be returning in the summer when my mom comes home for a visit and can’t wait to experience is then as well! Eat beforehand and stay hydrated throughout your visit. You’ll be detoxing and putting your body through the cycle a few times, so make sure that you’re drinking water. Bring a water bottle and fill it up using the refill stations throughout the baths area. Bring along a book for the relaxation portion. You’ll be sitting in a solarium for 10-15 minutes every cycle, and if you have a book you’ve been meaning to read, this would be a great time to get into it. Bring a robe or rent one. Especially in the winter, you’ll want to throw one on in between the portions of the cycle. Leave one towel in your locker for afterwards. You’ll want to have a dry one ready for a shower after you finish. Bring a pair of sandals to throw on when you walk between the hot/cold/relaxation portions – the ground gets cold in the winter! Get there early. During the winter, holidays & weekends, the spa gets extremely busy and ends up going on a waitlist. Getting there early enough means you’ll have a better chance at getting in. If you do end up on the waitlist though, don’t worry! They’ll call you when you’re able to get in and the Blue Mountain Village is right around the corner so you can find something to do. If you’re planning on getting a massage, book early! The massages book up pretty quickly, especially around busy times of the year – you can book them months in advance, so if you have a trip planned, make sure you lock yours down. 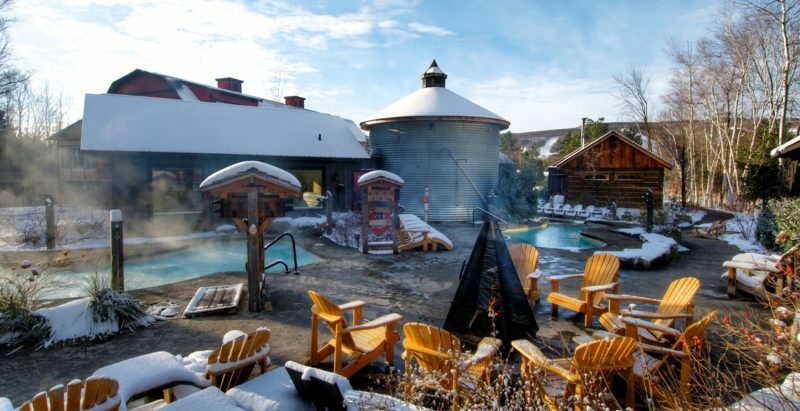 Have you ever been to the Scandinave Spa Blue Mountain or something similar? 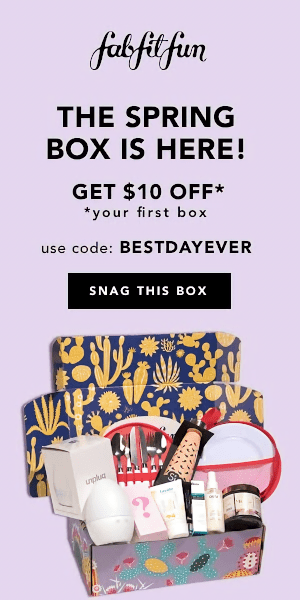 Let me know what your experience was like!